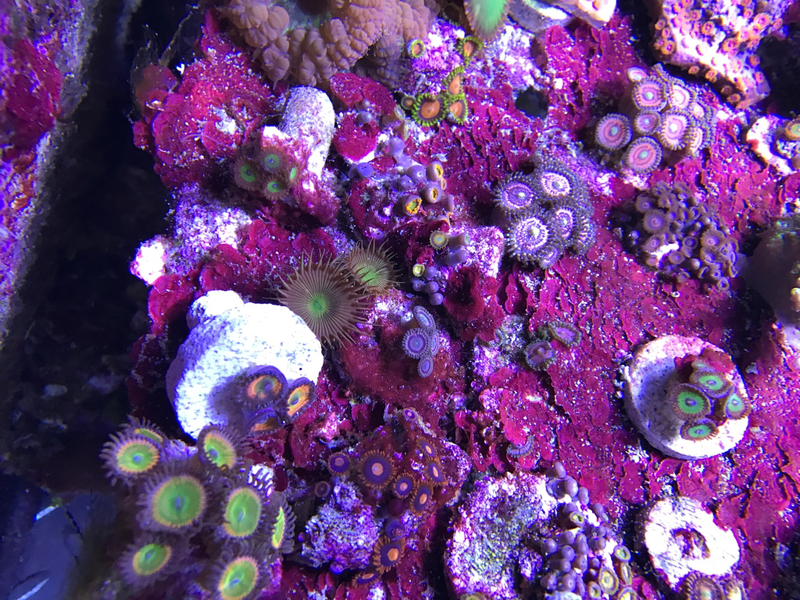 Fully colored up and healthy corals grown right here in SE Wisconsin. 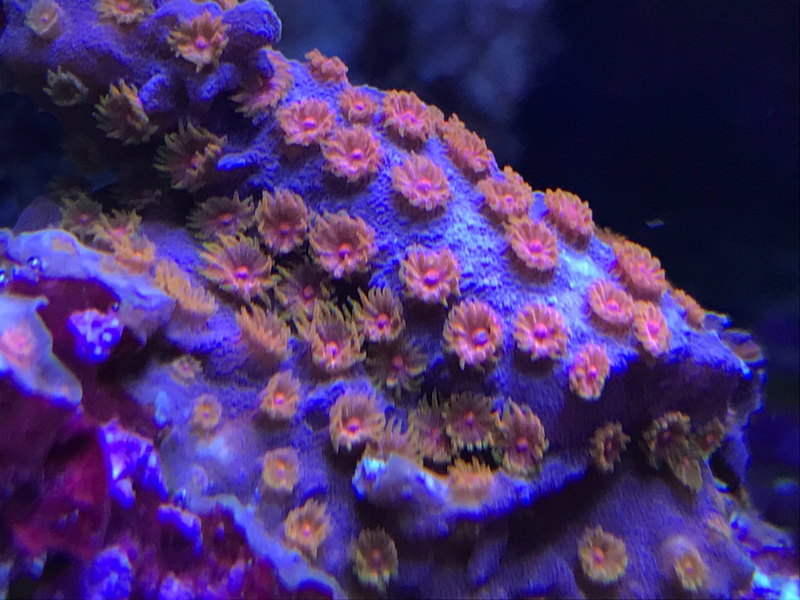 I'm a hobbyist that has some corals that have grown enough for pruning. 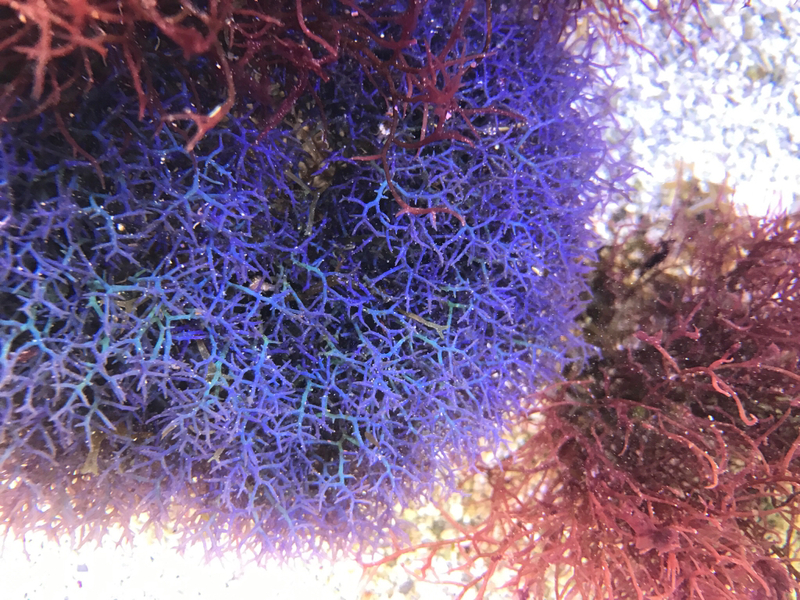 These are aquacultured, not mariculture or wild. 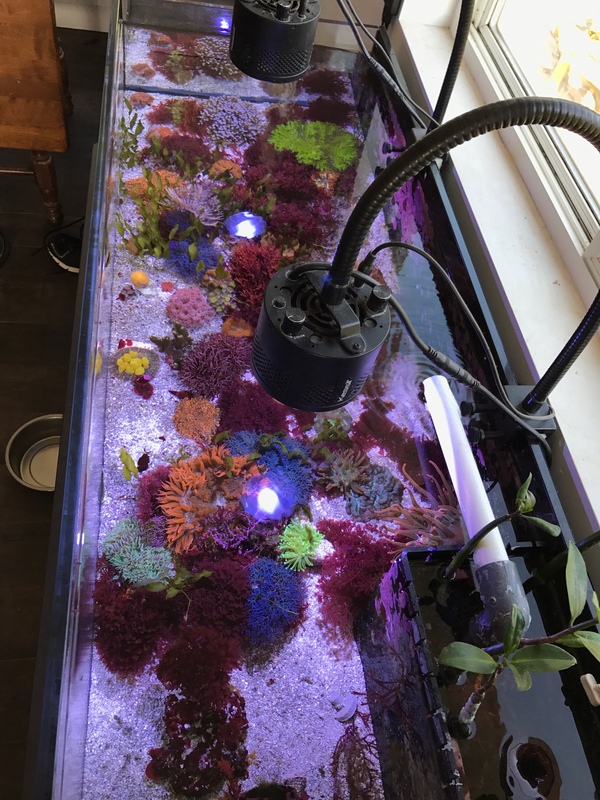 No impact on the ocean and they're proven growers! Still not convinced? 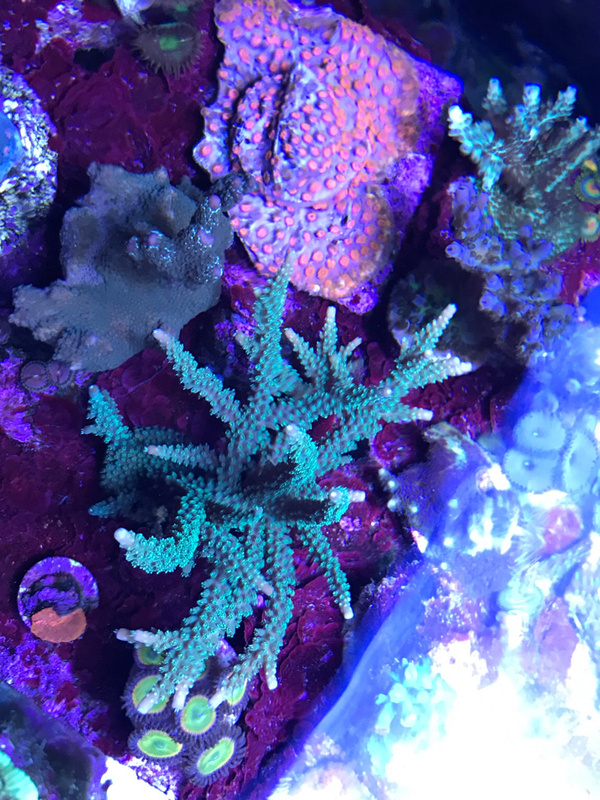 How about the fact I quarantine everything before it goes into my display. 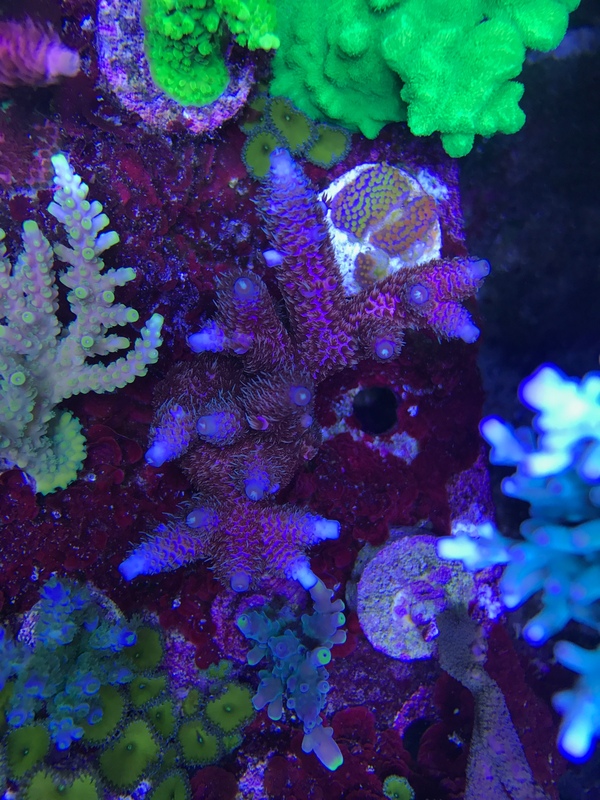 Corals aren't coming and going constantly like many retailers. Stay safe out there. 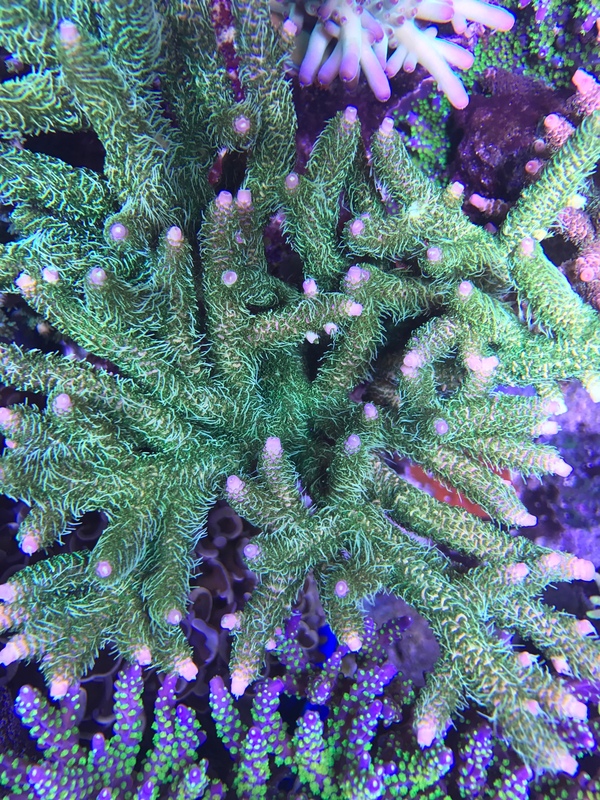 Sunrise Milli - $30 Bright and crazy hairy! Classic. 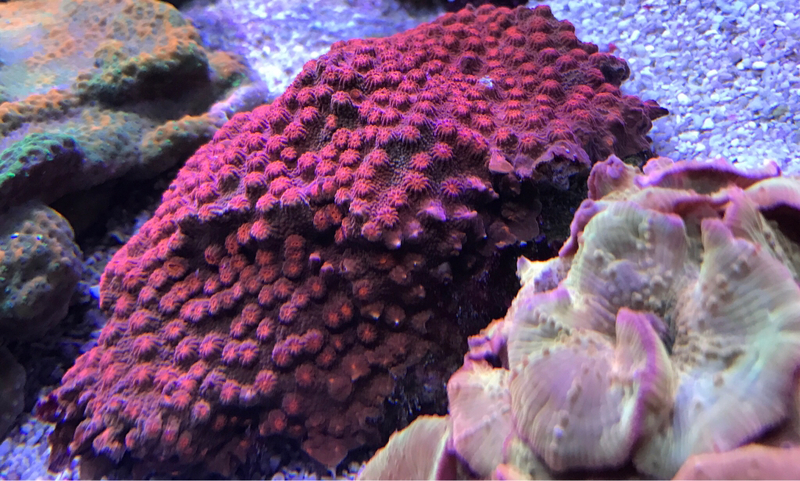 Everyone needs this coral in their collection. Keep it in a bright spot! 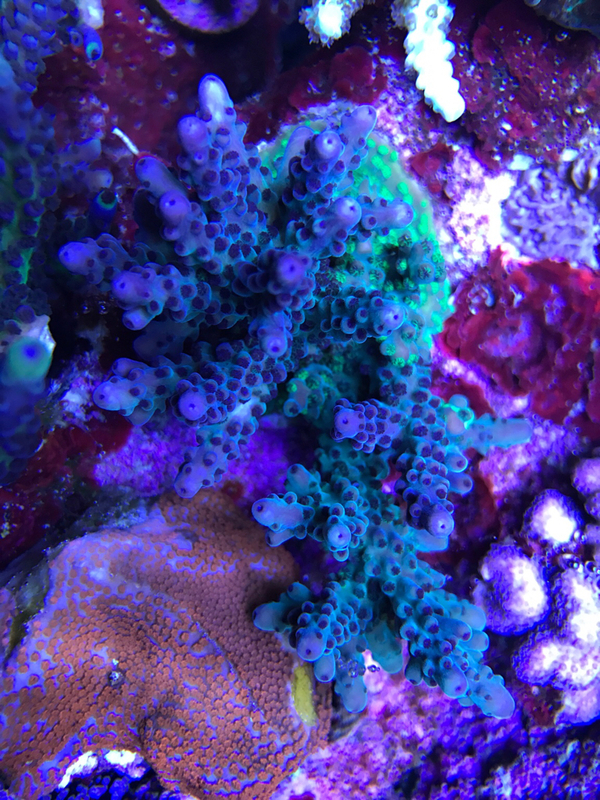 Really similar looking to rainbow monti, but teal green base instead of blue. Real deal! 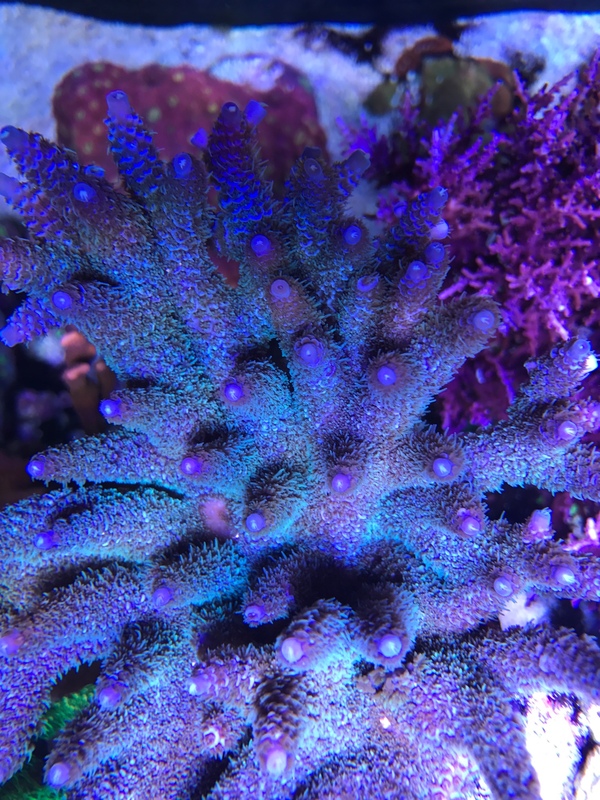 Gets purple with yellow tips when it's happy! 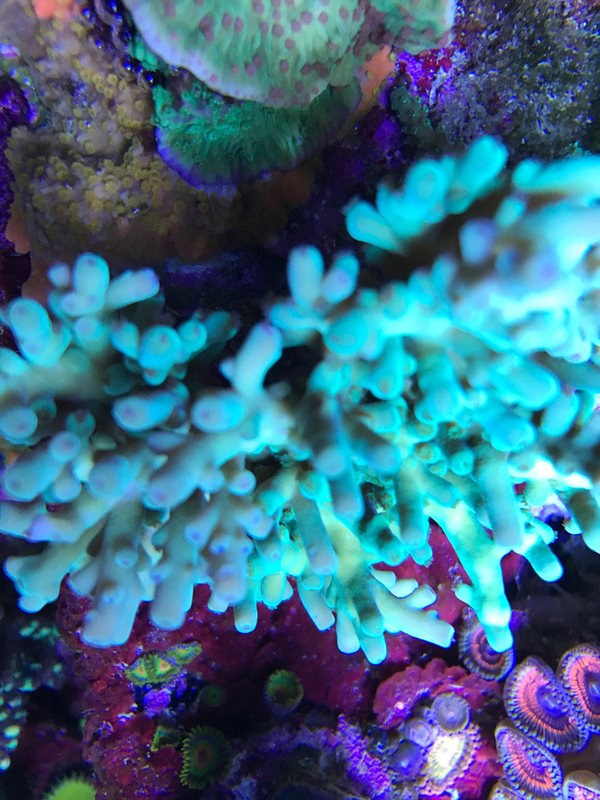 Can handle a variety of lighting/flow conditions and isn't picky. 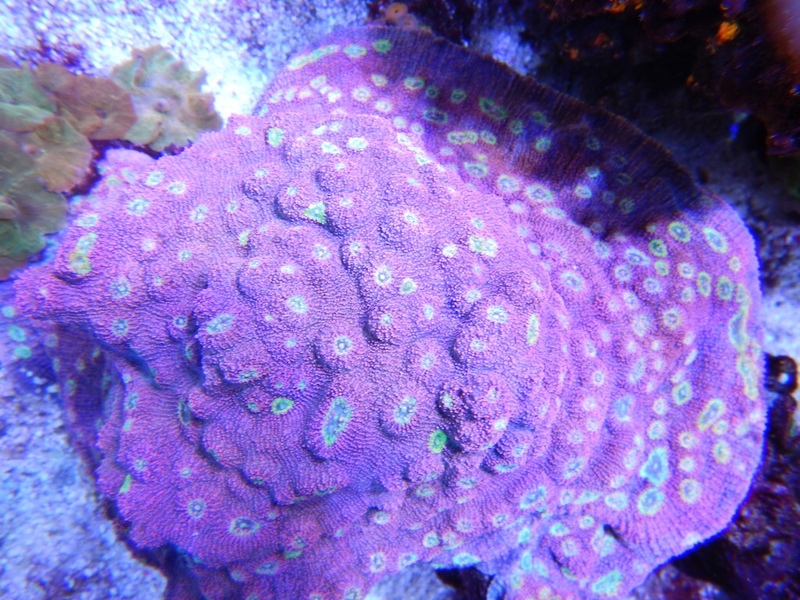 Beautiful purple base with neon green polyps. 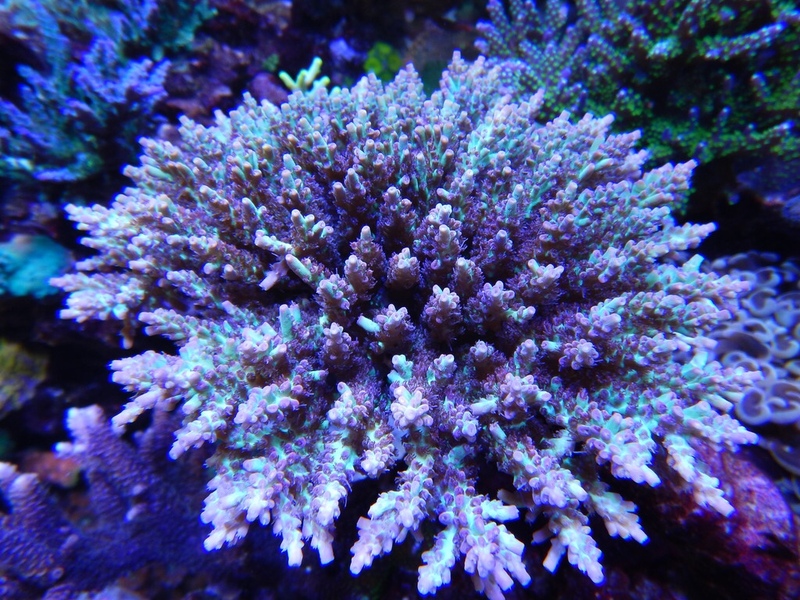 Hardy Acropora. 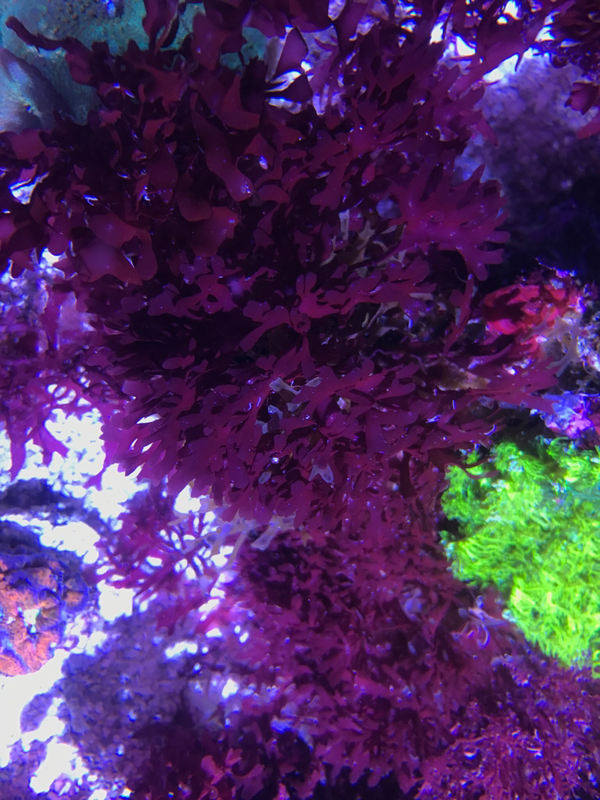 Purple in lower light, blue in higher. 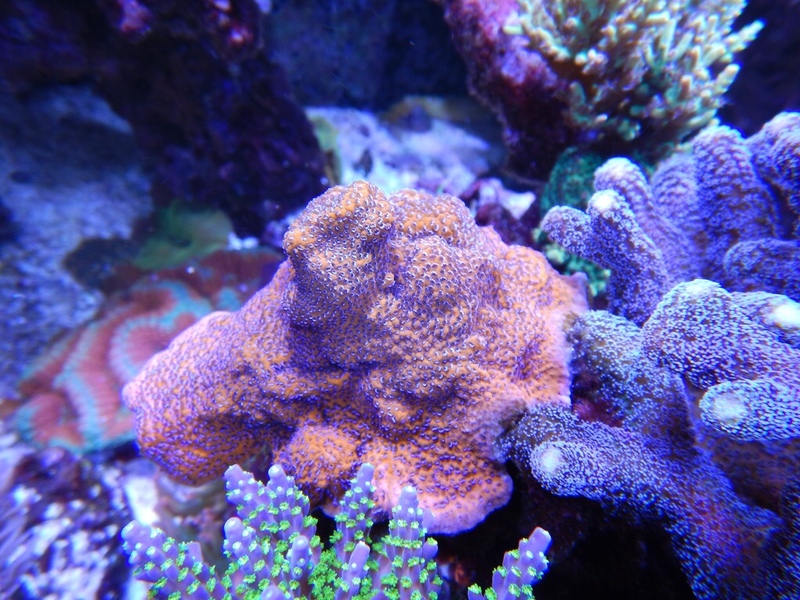 Can pummel this coral with light and it will eat it up and return the favor by growing very quickly. 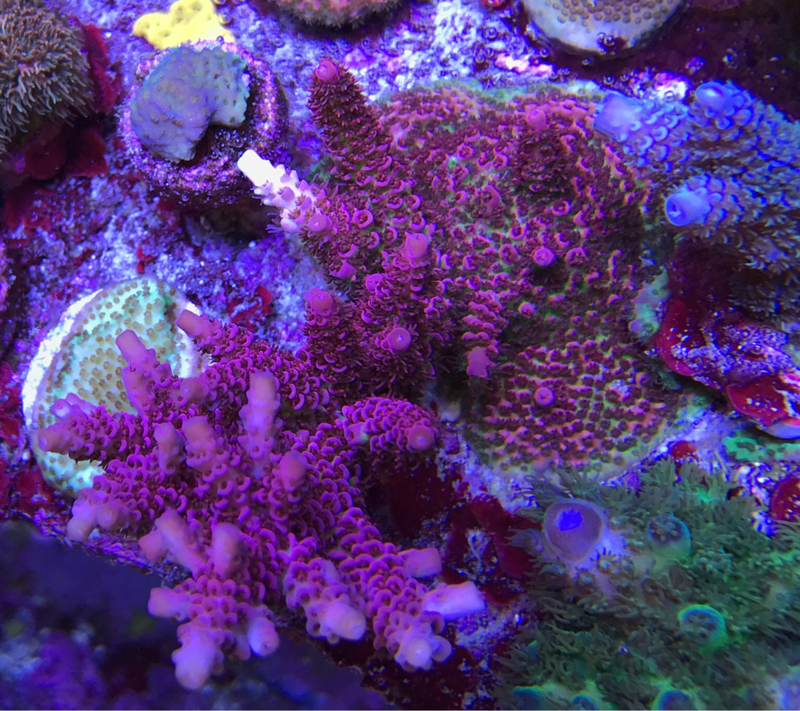 The higher the light the more pink you'll get out of this coral. 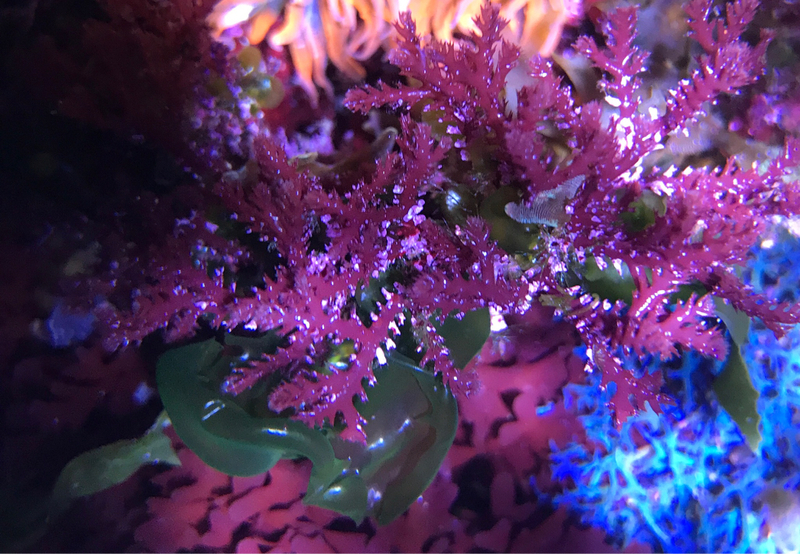 Great combination of green and pink. 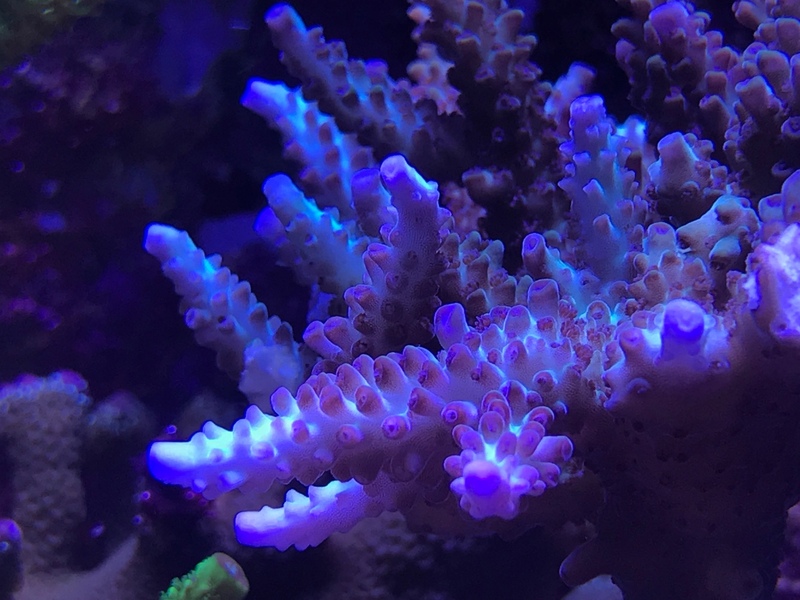 I call it look alike because this is one of three corals which have been sold to me as pearlberry. The other two turned out to be obviously not, but this one could be, maybe. It absolutely is beautiful. 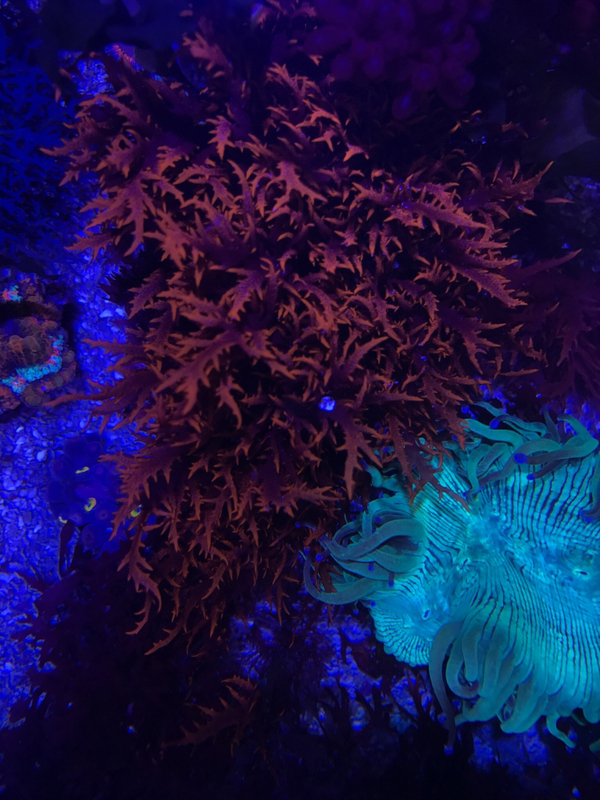 The really best colors come out of this coral under high light. 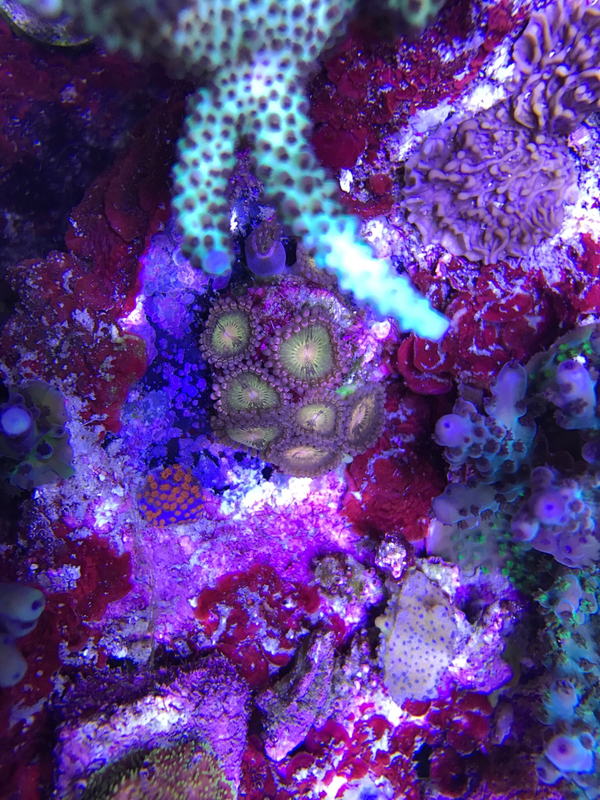 That said, I find capturing the teal blue of this coral with the camera is difficult. 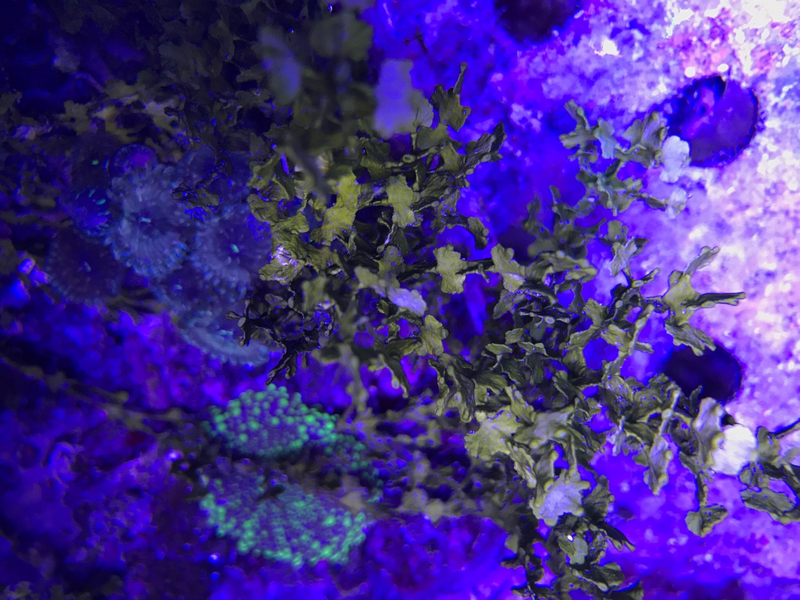 If you keep it in lower light it will be more green with purple tips, higher light it becomes a beautiful teal blue. Probably the fastest grower I own. 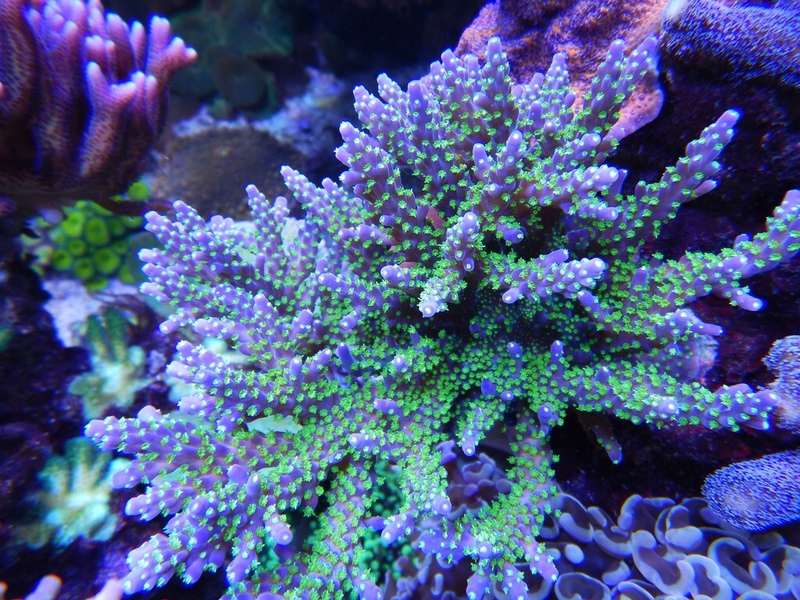 Great combination of green, purple and blue. RR Aussie gold $20 Very similar to Miagi but more yellow instead of green and I find the growth pattern different. 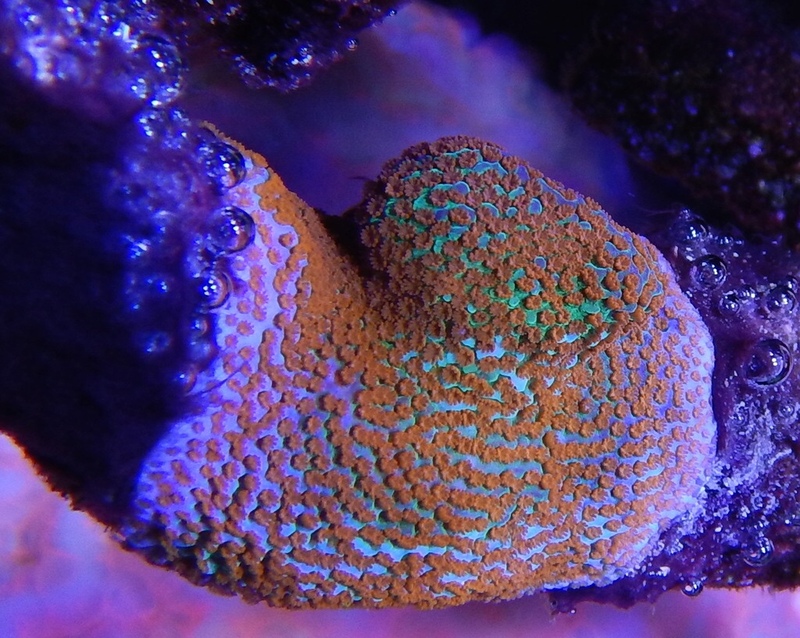 ORA Joe the coral $20 Speaking of classics. 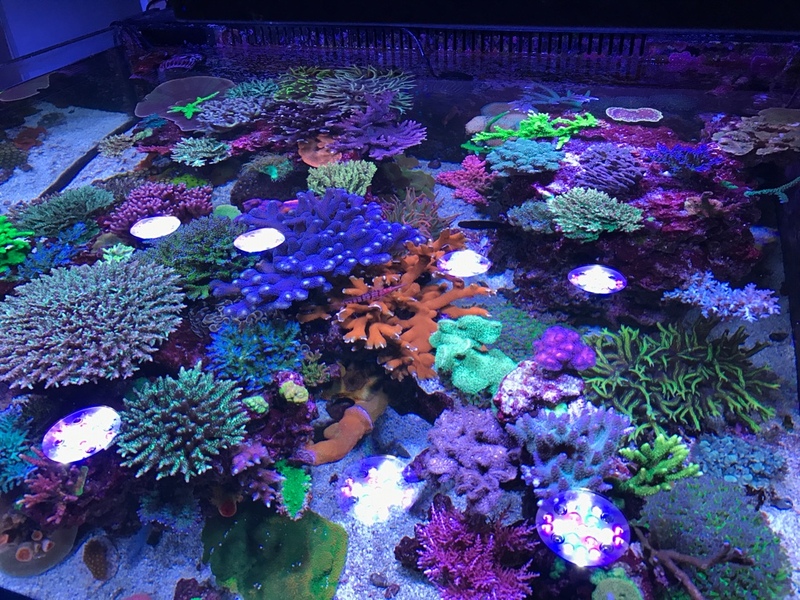 The deep blue of Joe and the crazy poly extension is hard to beat. Iconic. Higher light you get the most beautiful red/pink and it's hard to beat the speed of growth. RP tables so make sure you pick a spot with plenty of room to grow. 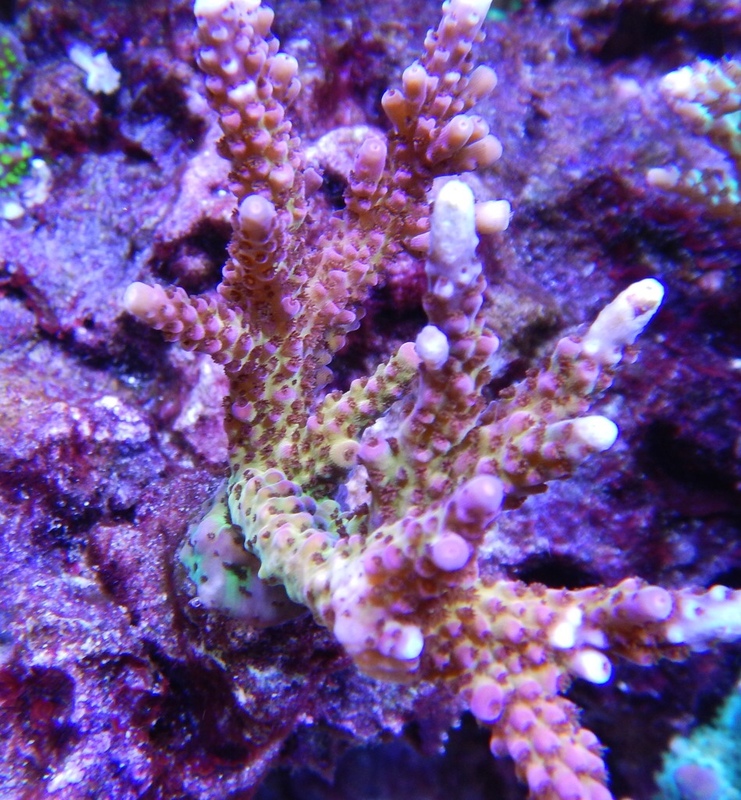 I chalange you to find another coral that is this yellow even under low light. 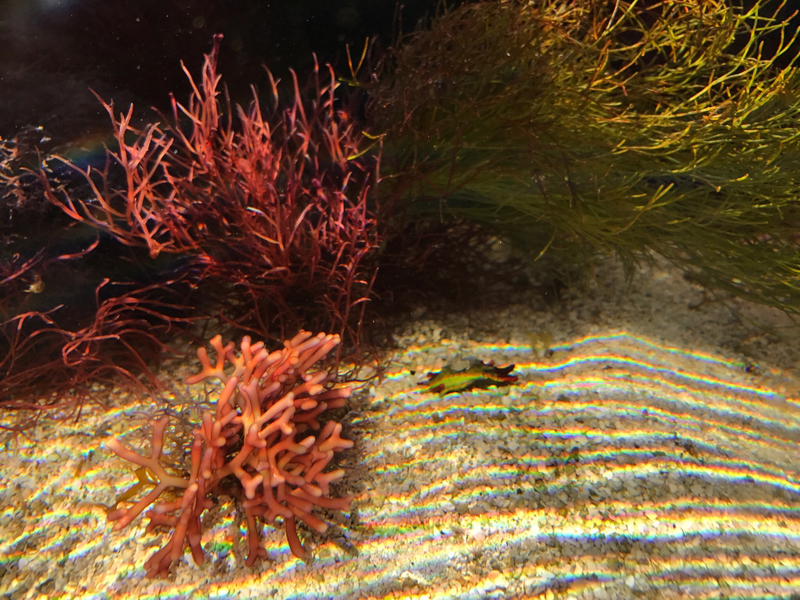 It doesn't turn green in lower light ever, stays the same bright vibrant yellow. Mostly encrusts rocks but if it runs out of real-estate it will start plating. 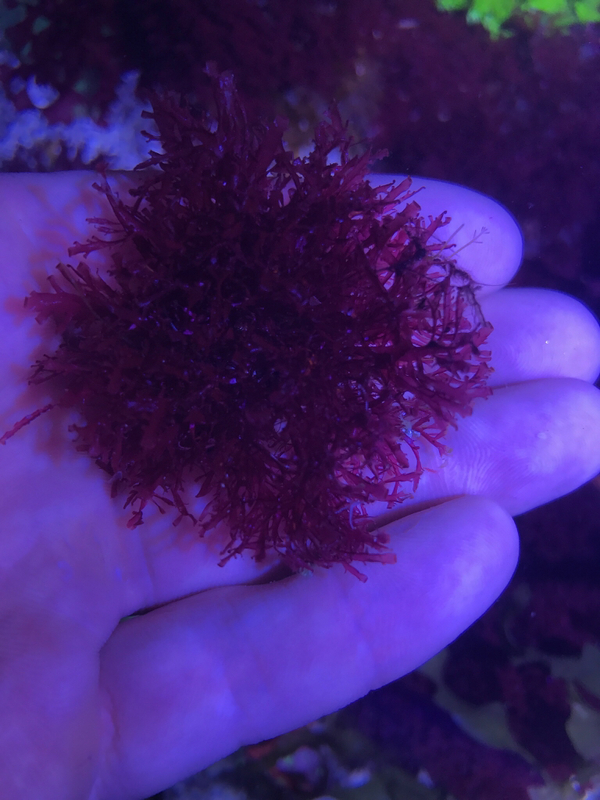 Red Cyphastra - $20 (couple available))You don't find this color red in many corals! 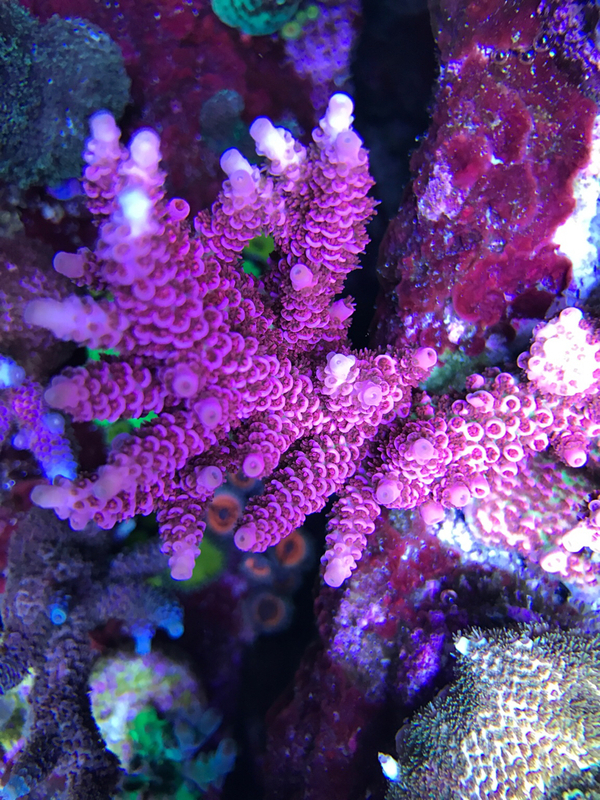 Pink chalice 1"+square $20 Great first chalice. 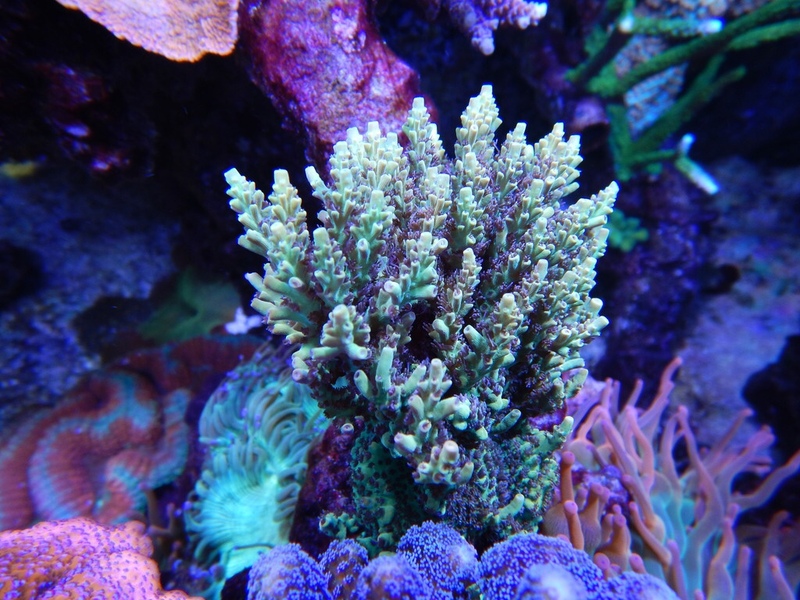 Grows pretty fast as far as chalices go and can handle a variety of lighting. 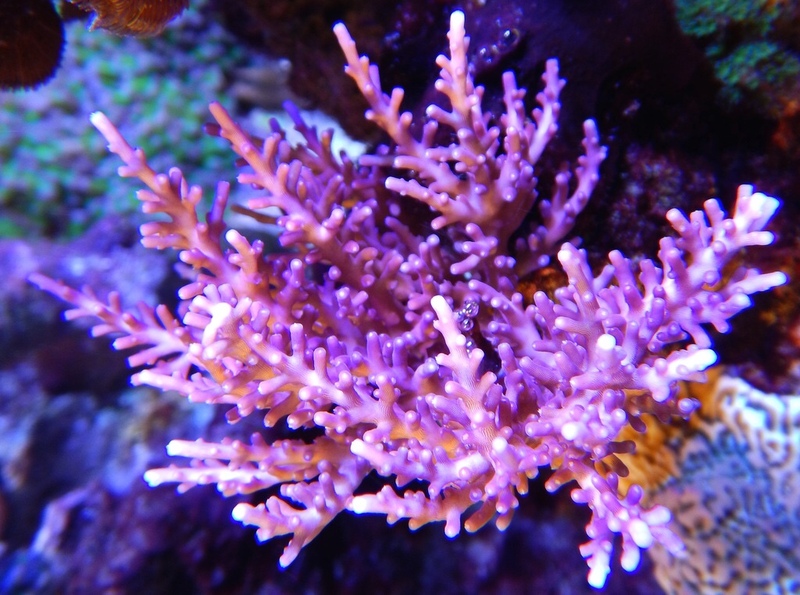 If you keep it in low light it will become purplish. 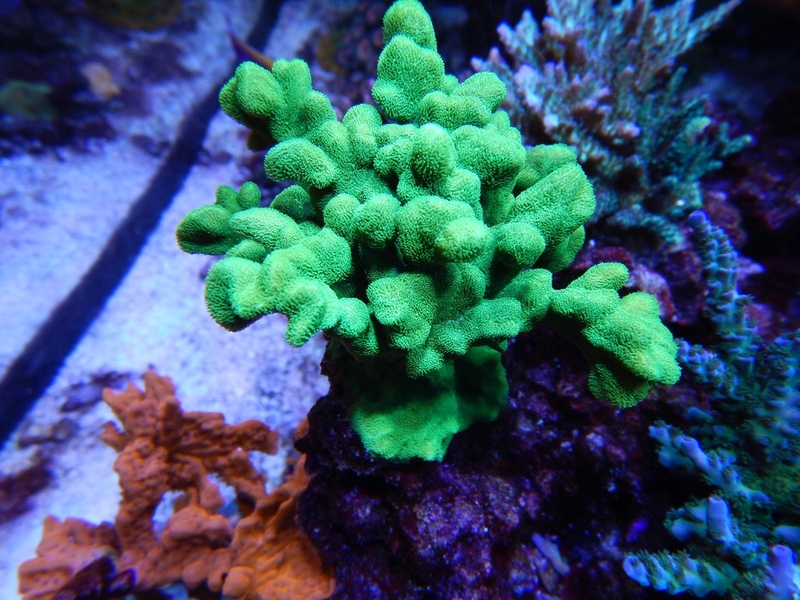 Setosa montipora $20 Well known monti, but not as easy to grow as all in it's family. 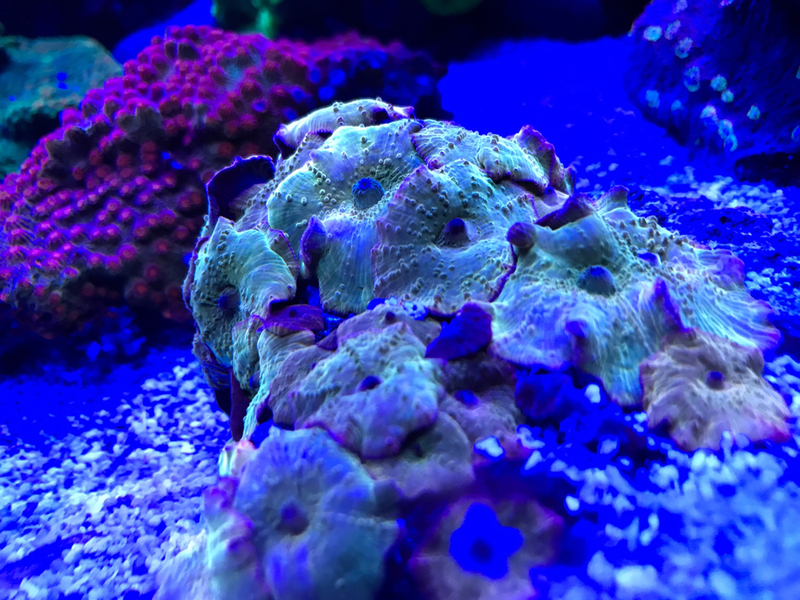 Unique color and growth pattern. 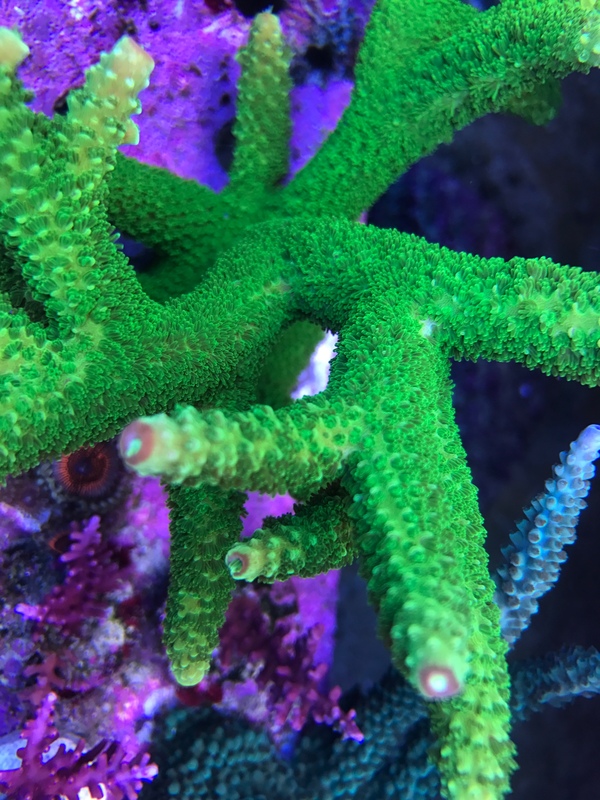 I think a reef without this coral would be lacking. 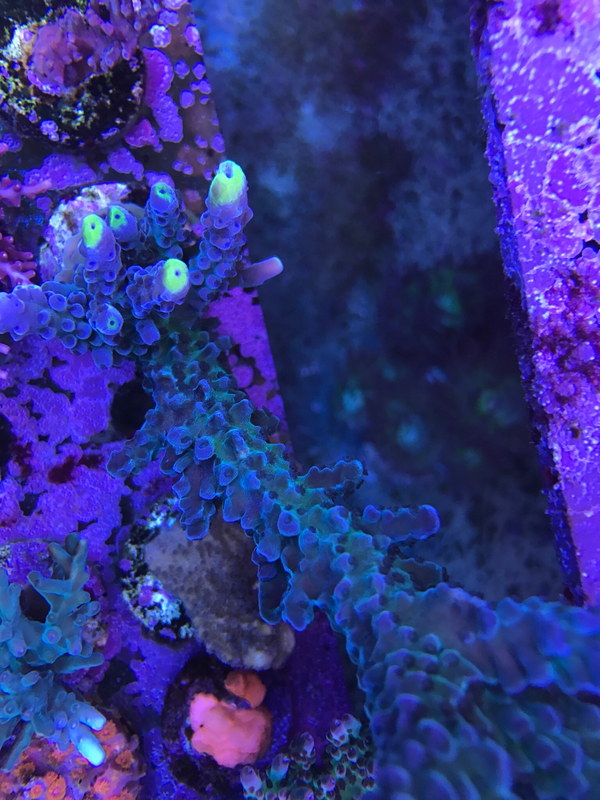 Blue tipped Green Slimer acro $20, all the joy of green slimmer (it slims when it's pissed... a lot) but with blue tips! Give it lots of room. 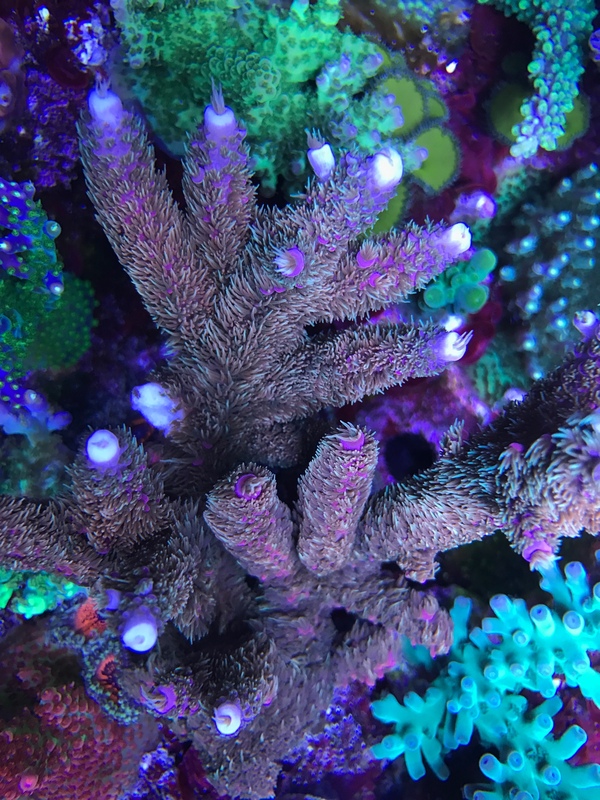 You'll see this coral sold for much more in the national market.http://www.jasonfoxsignaturecorals.com/product_p/sps-19.htm Encruster and is very unique. 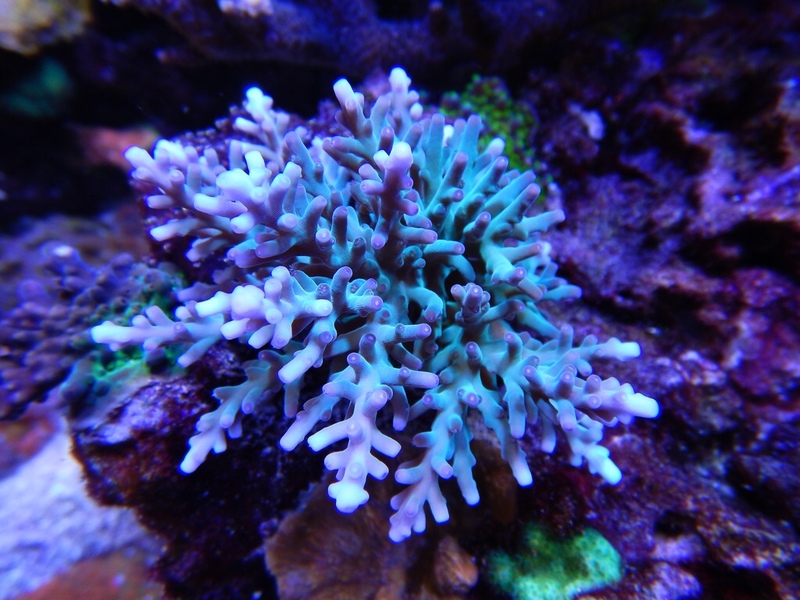 ORA German Blue Polyp Digi $10 Frags will be very large. 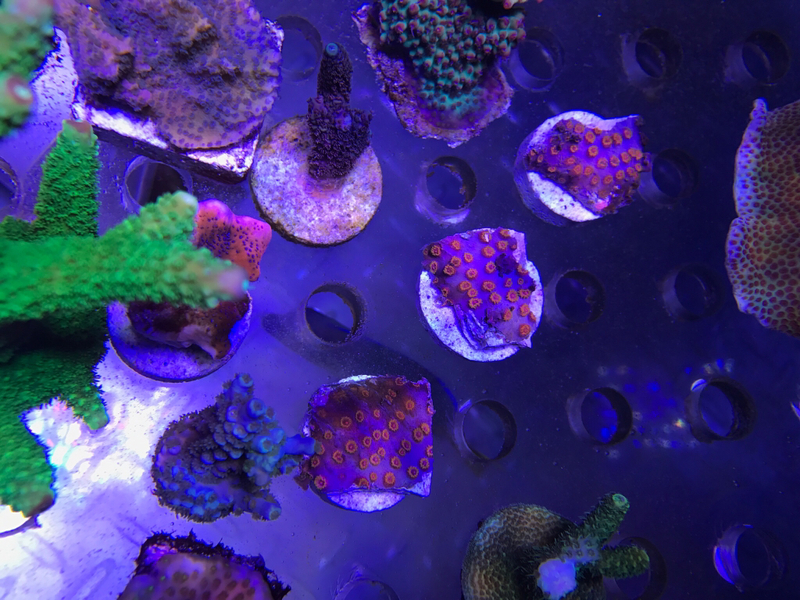 I charge $10 for starter cultures of any of these macro alages below. Buy 4 get one free. 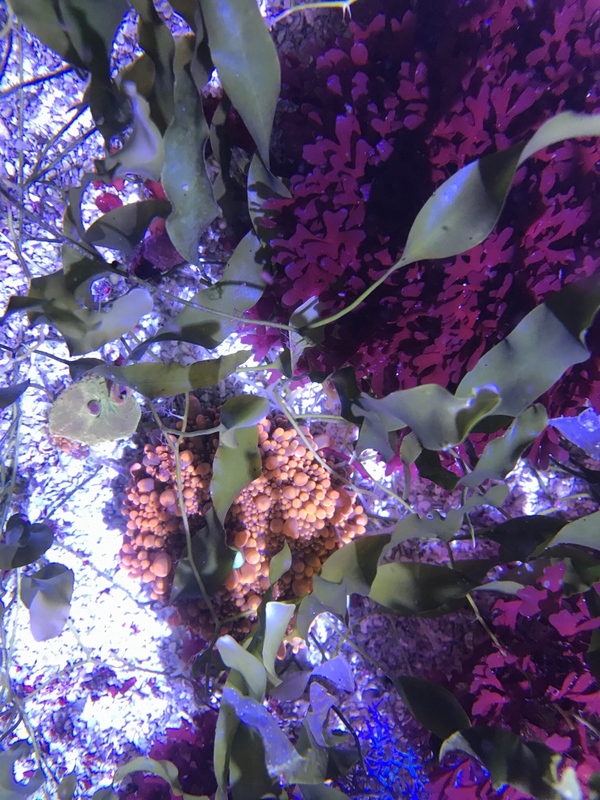 None of these are invasive. 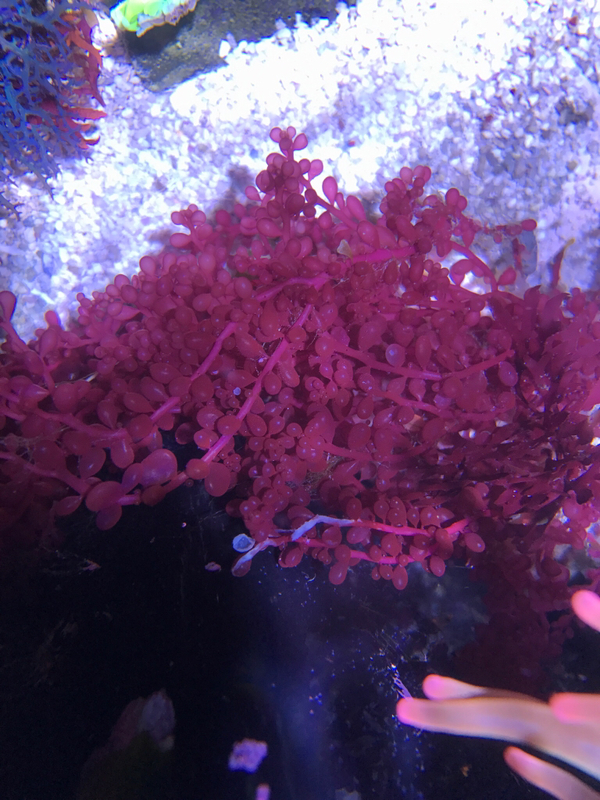 Grows similar to flame but has thinner leaves. 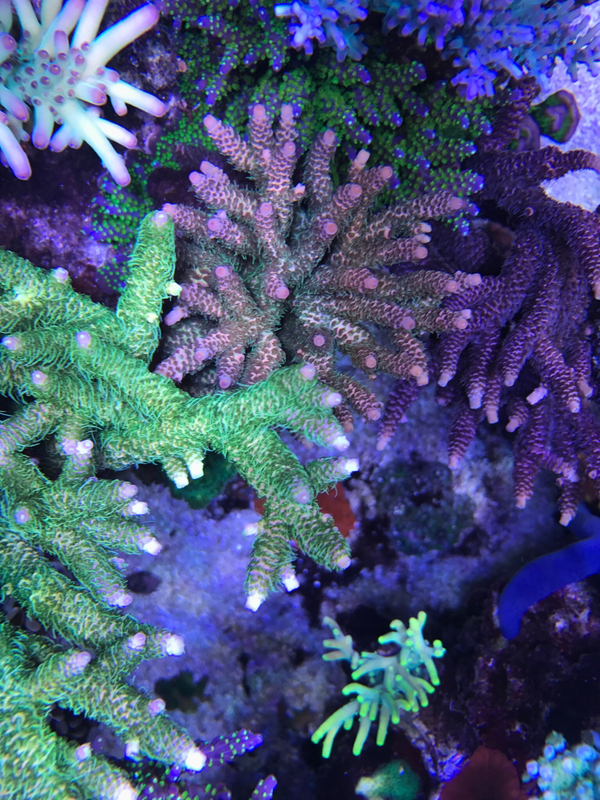 Also has orange tips in high light. Not forgiving about less than ideal conditions. Consumes calcium and good grower. Last edited by addicted on Tue Jul 18, 2017 3:59 pm, edited 3 times in total. Just a note. 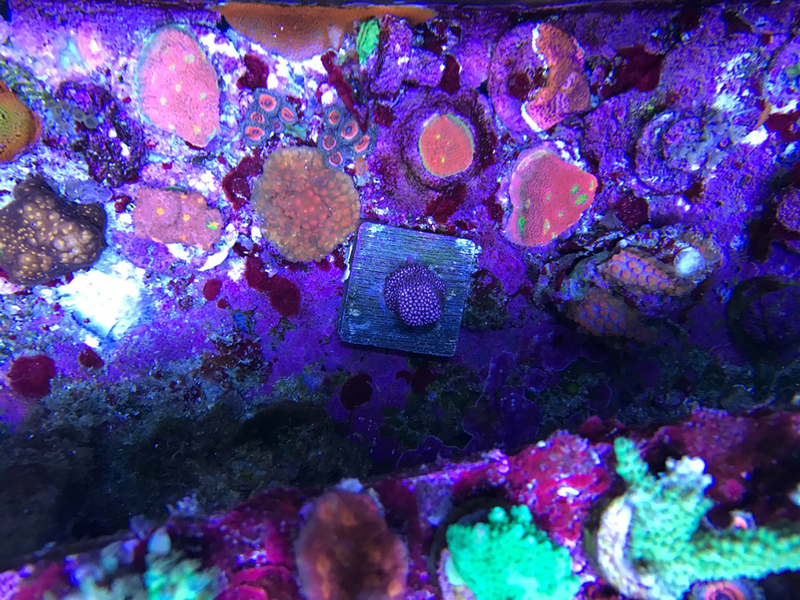 I do have a buddy coming back to McFarland at 8pm Sunday and said he'd be willing to bring along frags if you pickup there. Hi! 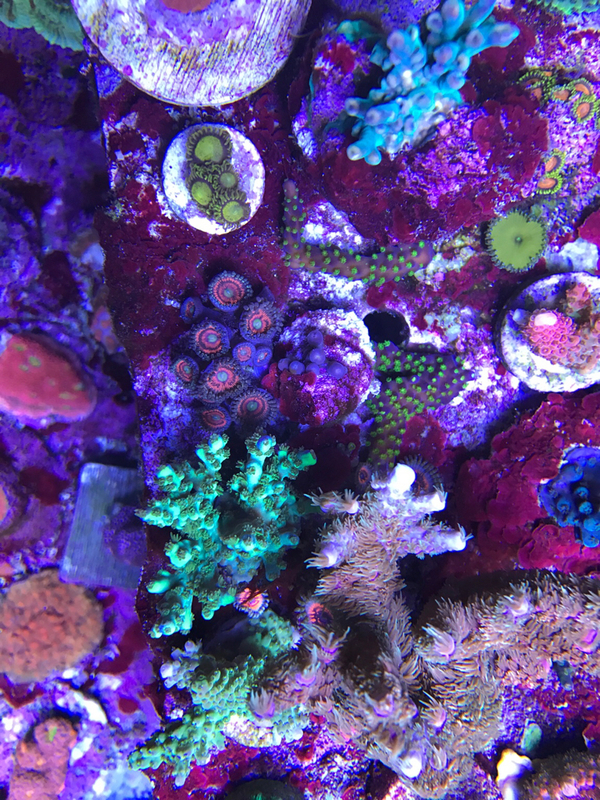 Im interested in getting some new corals for my new 90g tank. 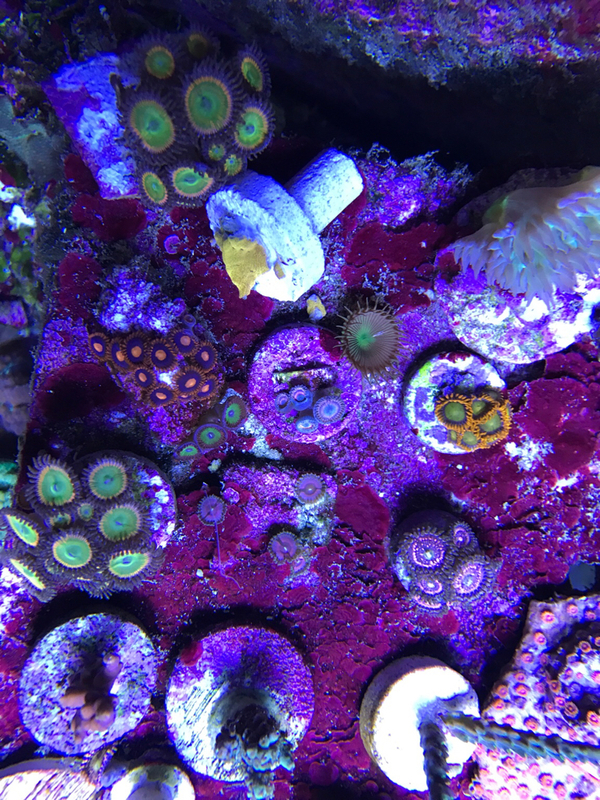 I would like to stop by and check out the corals you have. biojon wrote: Hi! 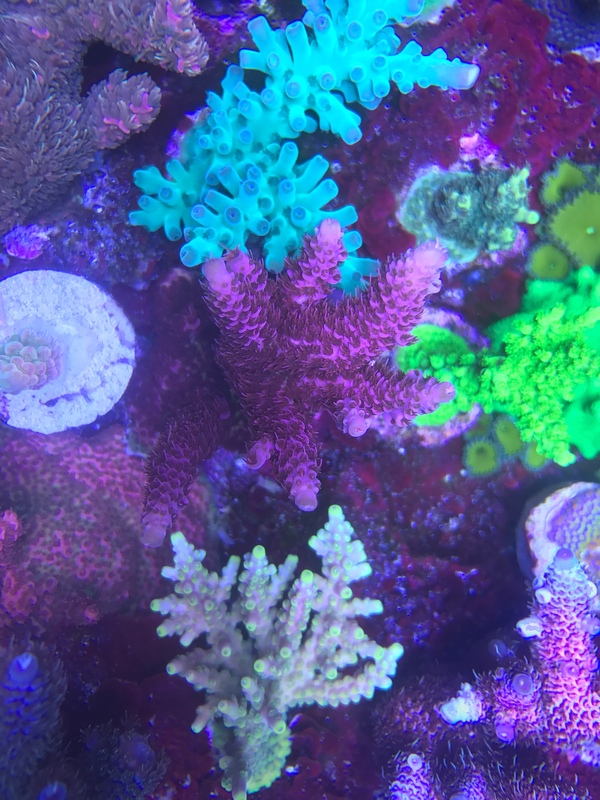 Im interested in getting some new corals for my new 90g tank. 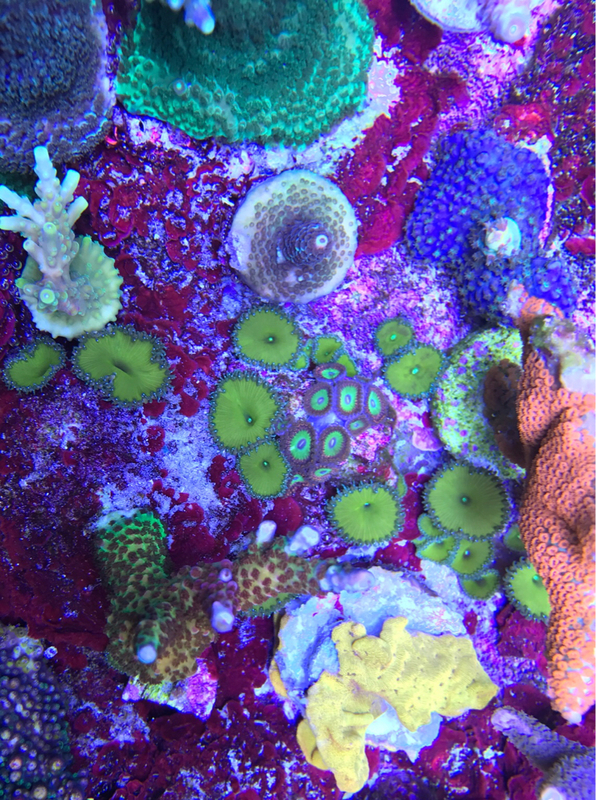 I would like to stop by and check out the corals you have. Updated the post and corrected some photo links. I'm planning on attending Fragstock in Fredonia this Saturday. 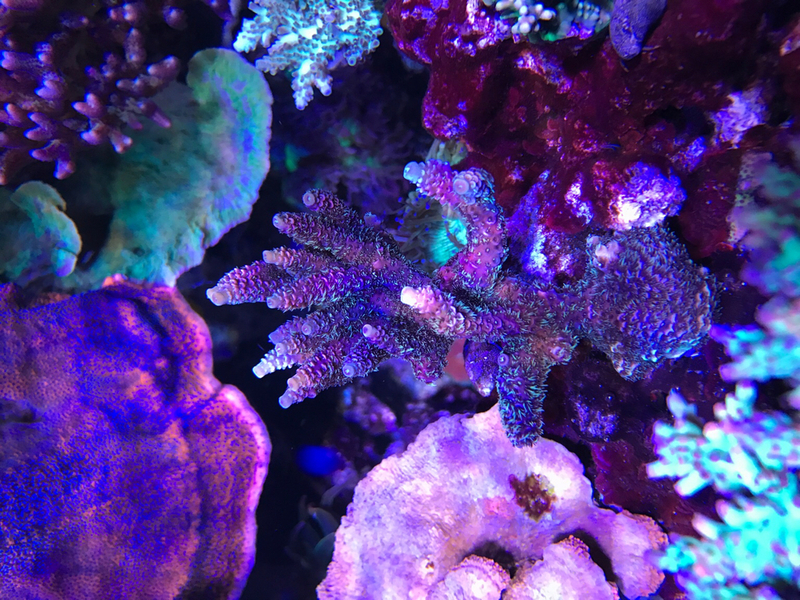 If anyone wants me to bring along specific frags let me know.